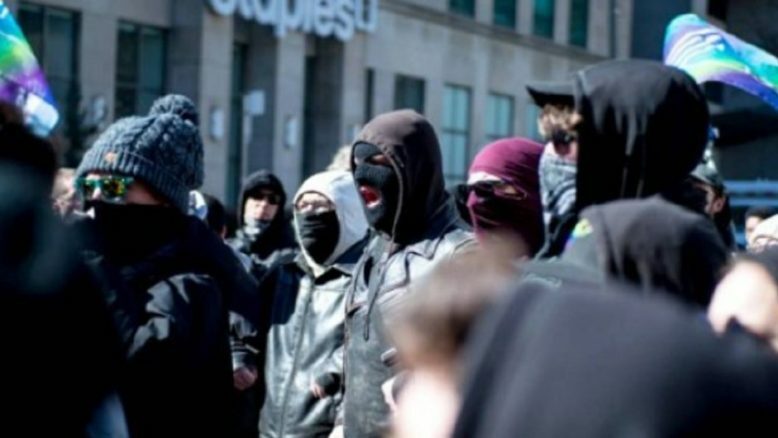 On March 23, 2019 PEGIDA, members of a far-right anti-Islam organization descended on downtown Toronto to hold one of their monthly anti-Muslim rallies. They were joined by far-right extremists from the Northern Guard, Wolves of Odin and Yellow Vests Canada, a grassroots wing of the Conservative Party of Canada. This rally took place in the aftermath of the horrifying al-Noor mosque and Linwood Islamic Center massacres in Christchurch, New Zealand. 50 worshipers died in those attacks. Hundreds of community members, anti-racists, anti-fascists and allies turned out, shut PEGIDA down and sent them packing, making it clear once and for all that there is no room for hatred in Toronto. PEGIDA members twice tried to march and both times they were pushed back and surrounded, along with the police who were protecting them. Antifascists sat and stood in their path to make sure they did not achieve their goal which was a symbolic march to a downtown Masjid (Islamic faith centre). When PEGIDA finally left, they did so sad, angry, exhausted and in complete disarray, followed down the street by elated anti-fascist activists who reaped the full benefit of a complete and total victory over the forces of hatred and division in this city. It is likely PEGIDA will think twice about ever coming back to Toronto, because, as activists have pointed out, the community response only gets bigger and more effective from here. This successful rally was organized by INAF: Intersectional Anti-Fascists, Toronto Against Fascism and Toronto IWW General Defence Committee Local 28. ← Previous Previous post: Help Build a New Resistance Camp on Wet’suwet’en Territory!